The hype is real! Read about the preparations underway for Albion Online's shift to free-to-play on April 10. 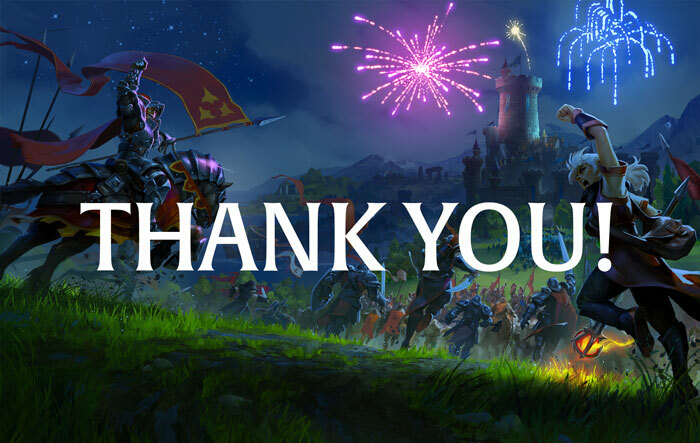 First of all, we, the Albion Online Team, would like to say thank you to everybody who has supported us so far. The Oberon update has been by far the most successful update we have ever released, and it wouldn’t have been possible without all the great input and feedback that you, the players, have shared with us. Along with the huge new Randomized Dungeons feature, Oberon also brought new mobs, chests, and shrines, reduced grind to unlock gear, a greatly improved tutorial, and numerous quality-of-life improvements. And with the group dungeons now in place, our team has started to work on Solo Randomized Dungeons as one of our next major focuses. You can read the Roadmap covering our plans for the next several updates here, and we'll be sending another community survey soon to make sure we're on the right track. In just five days, on April 10, Albion Online will go free-to-play. We expect that this change will bring large numbers of new players into the game, and we are already making preparations to ensure that this new phase goes as smoothly as possible. Improvements thus far include upgrades to our server hardware and optimizations of the game code. However, even if everything runs smoothly from a technical viewpoint, we know from the B2P release in 2017 that there can be a point at which certain zones – in particular, some of the game’s starter cities and surrounding areas – may become clogged. 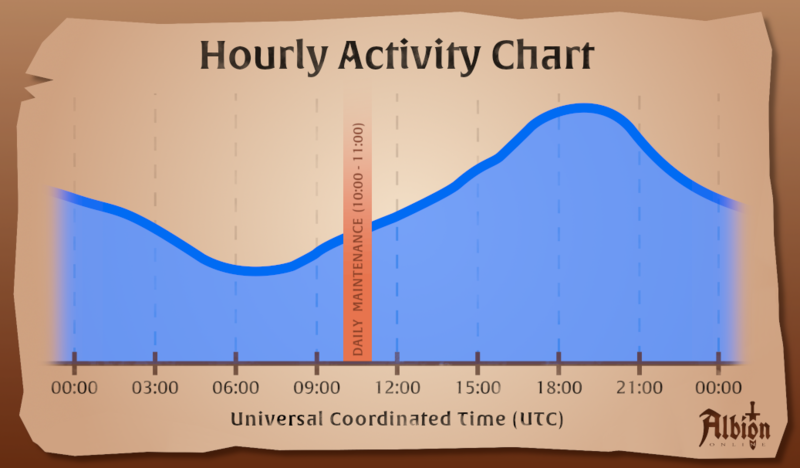 This situation greatly improves as new players disperse more evenly across the game world, as well as after the day-one hype (where it is not unusual for players to run sessions of 10 hours or more). However, if the total player numbers become too high, we may need to activate a queue to ensure that the game world can handle the inflow. Please be assured we will be monitoring the game closely during this launch, and while we’ll do all we can to make sure that everything runs smoothly, we apologize in advance for any unforeseen issues that may occur. We look forward to the free-to-play launch, and to seeing you ingame! Power Leveling with Multiple Premium Accounts for fun! How many gatherers like gathering in red/black?